I’ve posted a lot of kids’ book lists this year (including this one, listing our favorite Christmas books). But since I firmly believe kids who read grow up around adults who read…here’s my very first Grown-Up Reading List. I’ll warn you, though — it’s a Christmas reading list. I love Christmas. I’m unabashedly sentimental about it. I want my literary Christmases to be sweet and happy and covered in a dusting of cinnamon. So most of these aren’t necessarily going to challenge you and make you uncomfy. They’re good for reading near the tree, under a fuzzy blanket with a cup of cocoa. Comfort food for your brain. 1.) Shepherd’s Abiding by Jan Karon — I love Father Tim. I love his little town of Mitford and his quirky neighbors. It all just makes me feel warm and cozy and happy. Mmmm. 2.) 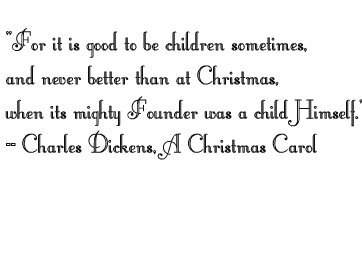 A Christmas Carol by Charles Dickens — I actually bought this in the children’s section at Barnes and Noble a few years ago, but I didn’t read it until I was an adult. Now I read it every year. It’s a classic, of course, with one of the funniest opening lines to a novel, in my opinion (“Marley was dead: to begin with.” Hah! Excellent.) You should read it. 3.) Skipping Christmas by John Grisham — I hated this book when I started it. I hated about the first half of the book. The man’s a big whiner and a grump and while I like that about Mr. Ebenezer Scrooge, I hated it about Luther Krank. But things picked up in the middle, and by the end of the book I grudgingly admitted that he might be all right after all. Not my favorite, but a decent Christmas novel all the same. 4.) 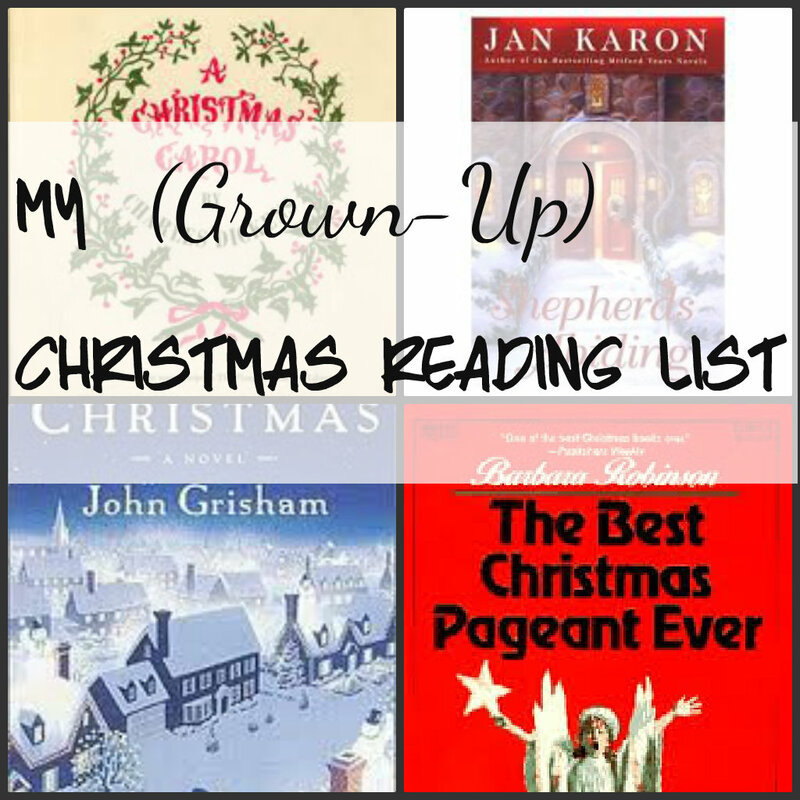 The Best Christmas Pageant Ever by Barbara Robinson — I know. Another kids’ book. But I read this one every year, too, and it makes me cry ridiculously (then again, so does every kids’ concert I attend. And that one Budweiser commercial with the horse. And the Olympics.) The Herdmans are hilariously terrible children who take over the annual Christmas play…and the results are amusing and tear-jerking all at once. 5.) Luke 2: 1-20 Yep. The actual, original Christmas story in the Bible. I can’t even tell you how many times I’ve read it. But I don’t think it hit me until I was grown exactly how bizarre, and lovely, and weird, and terrible, and beautiful and strange a story it is. Mary having a baby in a barn is totally different after having my own babies. The whole story is different, and different parts stand out every time I read it. I highly recommend a read-through this Christmas. Thanks for visiting Peace but Not Quiet! 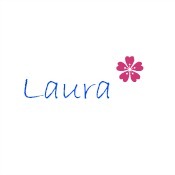 I’d love it if you’d like me on facebook and follow me on twitter.